PASADENA, California — If you liked Regé-Jean Page’s performance as Chicken George in A&E’s 2015 update of Roots, I have good news for you. The British-Zimbabwean actor now plays a jerk of a federal prosecutor named Leonard Knox in the new Shondaland legal drama, For The People. And because it’s a Shonda Rhimes show, yes, you’ll see him shirtless. Her company, Shondaland, has a giant new deal with Netflix. But it still has remaining shows at ABC, including For The People, scheduled to premiere in March, and an untitled Grey’s Anatomy spinoff set three blocks down from Seattle Grace in a firehouse. Paris Barclay, the former Directors Guild of America president, is directing again on The Spinoff That ABC Refused to Name, after previous Shondaland stints on Scandal and How to Get Away With Murder. Barclay is a groundbreaker in all sorts of ways, including as the first black and first openly gay president of the Directors Guild of America. So he knows how rare it is to be directing on a show executive produced by a black woman, for a network run by a black woman — ABC president Channing Dungey is the first black person to run a broadcast network. The cast of the “American Idol” reboot. 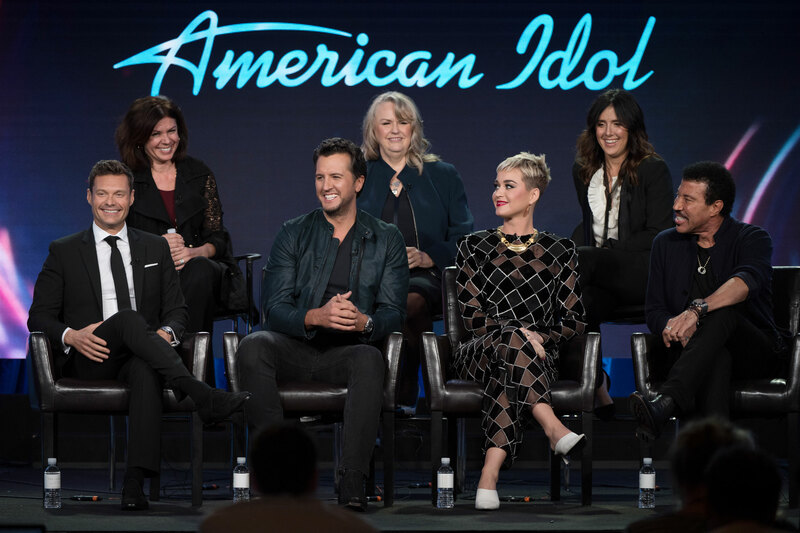 ABC is also reviving American Idol, with Lionel Richie, Katy Perry, and Luke Bryan as judges and Ryan Seacrest still hosting. There was a strict no-spoilers policy in place, so I can’t tell you if the show found any memorable singers this season. But the chemistry between the judges seems amicable and genuine. One of the fun things about press tour is reading the body language between co-stars to figure out which ones aren’t exactly fans of each other. But there’s clearly mutual respect between Richie and Bryan, and it started to make sense why Bryan was tapped to be part of the Kennedy Center Honors ceremony paying tribute to Richie. The tribute acts for the Kennedy Center show are closely held secrets because they’re supposed to be a surprise for the honorees. The Kennedy Center reached out to Bryan about honoring Richie while the two were working together on Idol, leaving Bryan to find a way to keep mum about the whole thing. “I’m around this man seven or eight times, and I know I’m going to be a part of this secret,” Bryan said. Bryan said that he really wanted to walk the red carpet at the Kennedy Center but couldn’t. Richie was none the wiser until Bryan appeared on stage that night. 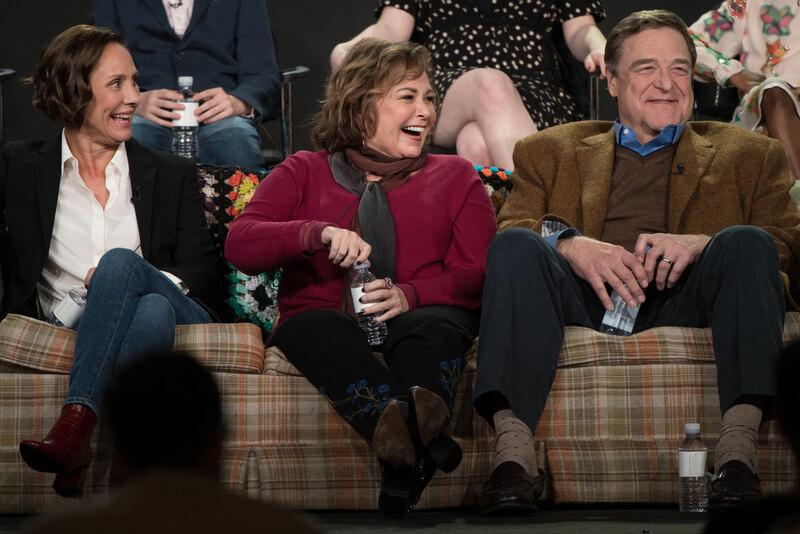 Roseanne is being revived at ABC, but one of her best qualities has been complicated by recent events. Shortly after the 2016 presidential election, I wrote in an essay for The Undefeated that many people of color were wondering about public and private truths in American society. Namely, who among us would wish us harm? Monday, I had the chance to ask that question about a beloved character from the 1990s, Roseanne Conner, who famously and forcefully lectured her son DJ that there was no place for bigotry in their house after DJ refused to kiss a black girl in his school play. It was a striking scene in one of America’s most popular shows. Conner was a groundbreaking character and it was incredibly significant to see a white woman saying that just because their family was economically disadvantaged, that didn’t mean they would stand for looking down their noses at black people. Well, the Roseanne Conner of 2017 is a Trump voter. And so I asked her creator Roseanne Barr, who was also a Trump voter, how that happened. How did Conner become a person who didn’t see Trump’s well-documented instances of xenophobic and racist statements as disqualifying? Soraya Nadia McDonald is the culture critic for The Undefeated. She writes about pop culture, fashion, the arts, and literature. She's based in Brooklyn.